DynoTune Product, 622.7-11-14 Mustang GT Nitrous System No Bottle/Brackets - DynoTune, Nitrous systems, Purge kits, Nitrous Bottle heaters and more! 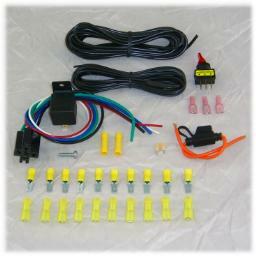 11-14 Mustang Nitrous System. Adjustable from 75-150HP. Comes with eveything you need except the bottle/bracket and bottle nut. Will fit V8 and V6 mustangs. Comes with the Fuel Adaptor seen below so you can quickly install the kit. >Our 22 page Nitrous installation and tuning book is included! Full pictures and detailed installation instructions for the GT application.